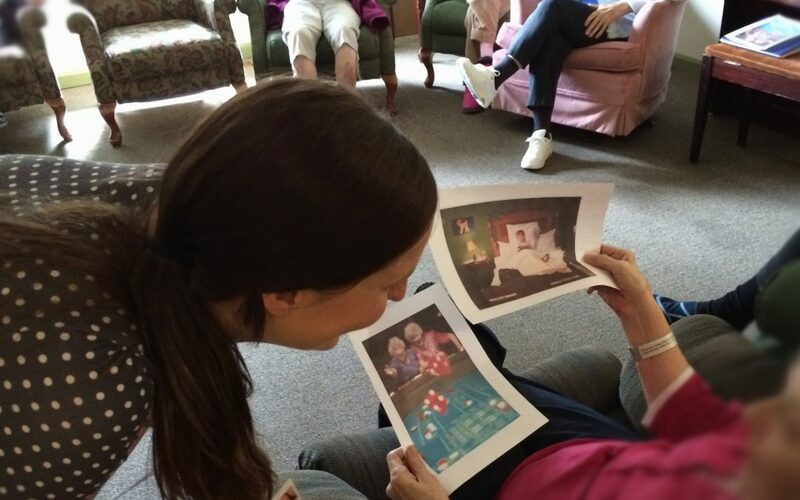 The Imagination Network is recruiting research participants who are living with early stages of dementia. 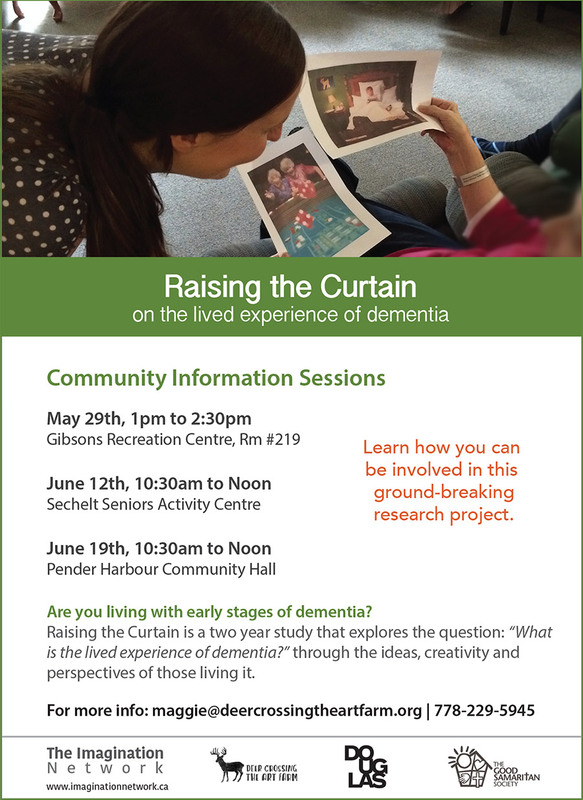 The community are invited to a series of Community Information Sessions to learn about Raising the Curtain, a two year research project that explores the question: “What is the lived experience of dementia?” through the ideas, creativity and perspectives of those living it. The Imagination Network is a partnership between artists (Deer Crossing the Art Farm) health-care professionals (Christenson Village) and academia (Douglas College). Learn more from Maggie Bosse, Research Coordinator: Maggie@deercrossingtheartfarm.org, 778-229-5945.